Insomnia or sleep disorders often referred to as a disorder that mostly experienced by people worldwide. According to the study, Insomnia is not included in the category of diseases. Insomnia is a symptom of sleep disorder in which a person experiences difficulties constantly trying to sleep, but it is difficult to succeed. Generally, people who have insomnia worrying excessively about something, tension, worry, stress, trauma and other things that can cause loss of drowsiness. Therefore, increasingly trying to sleep, the more difficult they can sleep. People who experience insomnia on the type of primer, then they will have trouble sleeping without any health problems. That is, the experienced insomnia occur naturally without any cause. In this type, usually those who can not sleep Insomnia and will happen when they are disturbed conditions such as depression, stress or because they consume substances such as drugs or alcohol. 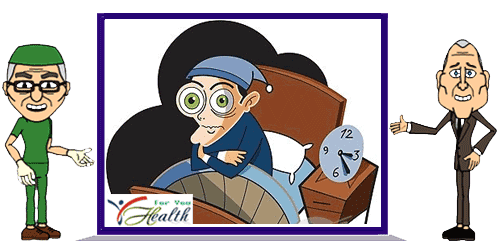 If you Acute Insomnia time, then it will last a few nights only, but if it lasts up to 3 weeks, then most likely it is a sign of chronic insomnia. Of course for those of you who have insomnia do not want it goes on forever, then for a cure Insomnia can be done in the following way. Try to sleep and wake up at the same time every day. Avoid sleeping during the day, because while sleeping during the day will make you difficult to sleep at night because you are not sleepy. Reduce or leave the habit of consuming certain substances such as caffeine, nicotine and alcohol at night. Substances containing caffeine and nicotine will make you more difficult to sleep. Exercise regularly and do your routine will create a healthy body, in addition to the exercise you do during the day will cause fatigue effects on the body which made the sleepy condition was heavy because of the demand of the body. Try not to eat a heavy meal just before bed. If hungry, you can replace it with a light meal. Try to make your bedroom as comfortable as possible. Keep the room dark, quiet and not too hot or cold. There are habits that you can reduce or avoid so your sleep is not disturbed such as reading a book, a warm bath, playing computer games, listening to music or otherwise excessive.